Following on from our blog post a few weeks ago detailing ‘How to style your bedroom like an Interior Designer’, I thought it only fitting to also advise you on how to style your living room like an Interior Designer too. Every room in your house needs to look beautiful after all! As some of you may already know I am the resident Interior Designer at Furl and you may have met me at the London Showroom where I am on hand to give you interiors advice, help you plan your room and assist with colour selections. It is however so much harder when you get back home, head bursting with information and so many different design styles, to pull together a room that is both practical, yet beautiful. 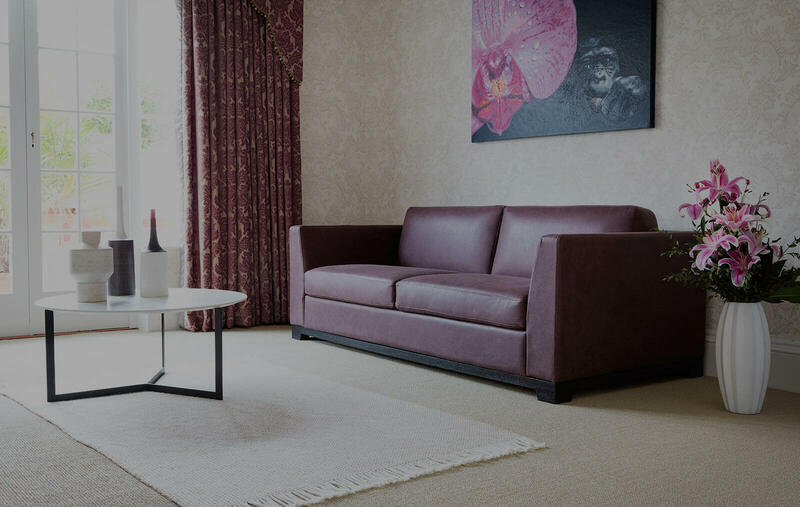 By following these simple steps, we can ensure your Living Room perfectly meet a Designers standard. The design of your living room is very important as it is the place that you relax at the end of a hard days work, where you entertain your guests on a Friday night and where you have the in-laws round for afternoon tea. Determining the style and feel of your room is therefore the first thing that you need to do. Do you want it to be a formal living room? Is your lifestyle full of entertaining friends? We ask because of practicality – you wouldn’t want to have a bottle of red wine poured all over your sparkling white sofa whilst entertaining at the weekend, even though we do have a solution to that too! (Guardsman in our sofa bed extras). Your colour selections will help to not only determine your style but also determine the feel of your room. This is where the rule of three applies. When deciding upon the colours for your living room, select just three and ensure that everything you put into the room is in one of those three colours. 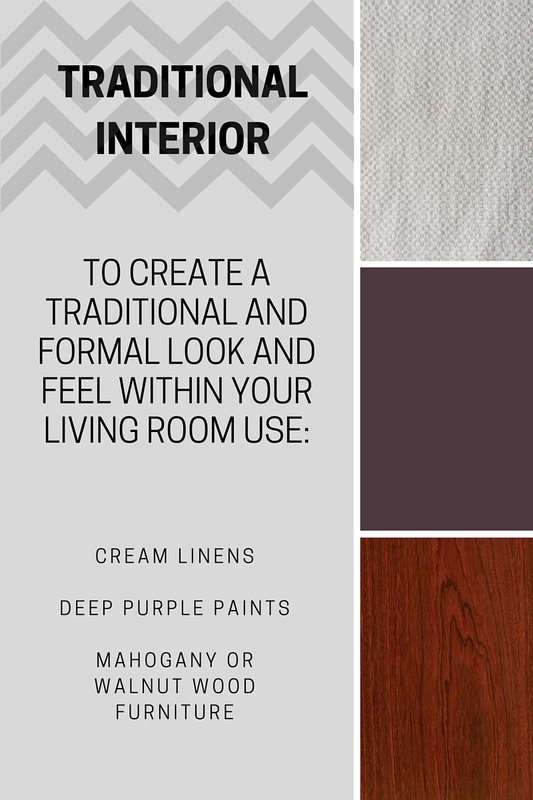 For a formal, more traditional interior, select cream, purple and walnut. Paint the walls a deep purple, and then add in bursts of the colour through accessories. Keep your sofa, chairs and window dressings in a warm cream and then compliment with walnut coffee and side tables. 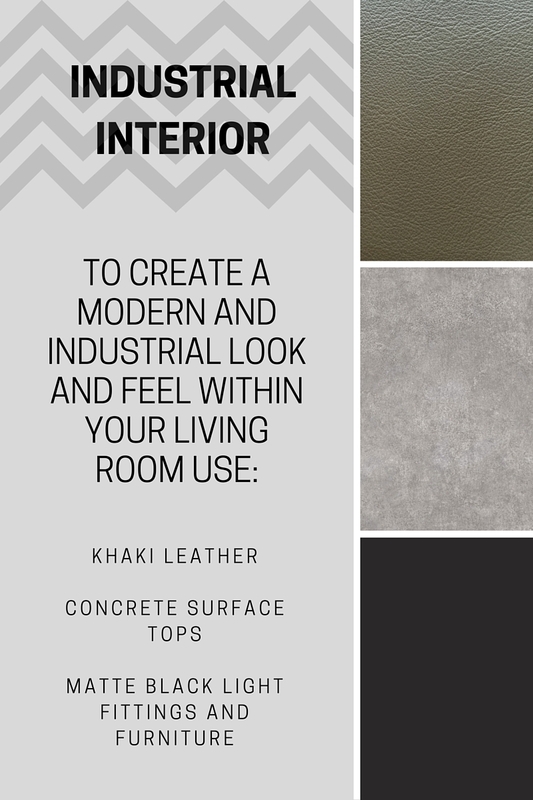 No matter what style of room you wish to create, if you apply this rule of three to your colour selections, you will always be sure to have a living room that is designed exactly as an interior designer would curate it. No matter what size your living room might be, it is always important to have that feature piece that stands out, even if you do think it is perhaps a little too large for the room. Most of the time, an interior designer would add in a oversized statement armchair in a brilliantly patterned or vibrant fabric. You could do the same with the sofa, but this may overpower the room and as more expensive items than armchairs, aren’t quite as easy to change in a few years time when it doesn’t compliment your tastes anymore. If you don’t have enough space for an additional armchair, a statement pendant light or lamp would also work a treat. Every living room should have at least one plant or bunch of flowers. When you flick through the pages of Elle Decoration or Living Etc., you may notice that every interior lifestyle shot has a huge bunch of flowers or towering plants in the corners. That is not because they smell nice, but because it makes the room visually look more attractive to your eye. This ‘magazine look’ is the concept that every interior designer is trying to achieve when they first reveal your new space to you. Easy when you have a budget large enough to afford a designer, but if you can’t maintain the cost of buying a new bunch of flowers each week there are some brilliant faux options that look incredibly realistic. The initial cost may be a little bit more, but they will last you a lifetime, literally. As daunting as designing your living room may seem, have as much fun with it as possibly can. Try an outrageous paint colour on the walls. If you really hate it, you can always do it again. A little trick from the trade – cut or fold samples to the proportionate size to give you a better idea of how much of each colour you will have within your room. In short, if the samples all work together in small swatches, they will work together in big pieces too! We look forward to seeing some of your designs.